Charcter Bio - CC-5052 was a clone marshal commander who served both the Galactic Republic and the Galactic Empire that followed. A clone of Jango Fett, CC-5052 was bred on Kamino, where he was trained as an Advanced Recon Commando by Alpha-17. Alpha-17 also gave CC-5052 the name "Bly," which the clone commander himself adopted. Assigned to the 327th Star Corps, Bly worked with Jedi General Aayla Secura throughout the Clone Wars. 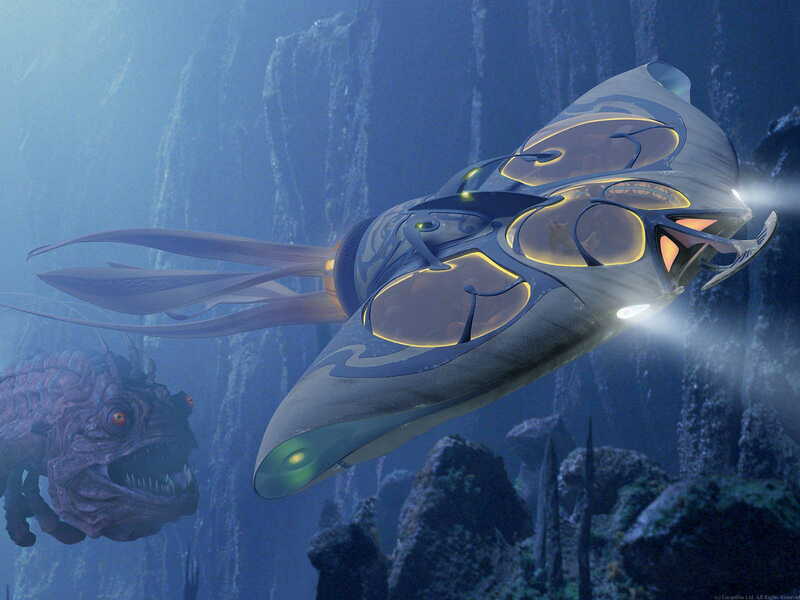 Serving in campaigns on planets such as Quell, Maridun, Alzoc III, Florrum, and New Holstice, Bly worked with Secura to personally extract a valuable Scientific Instrument Package from Honoghr. During the mission, Bly encountered renegade Jedi Quinlan Vos, whom he deeply mistrusted. Shortly after the Honoghr mission, Bly and Secura served alongside the reformed Vos in the Siege of Saleucami. 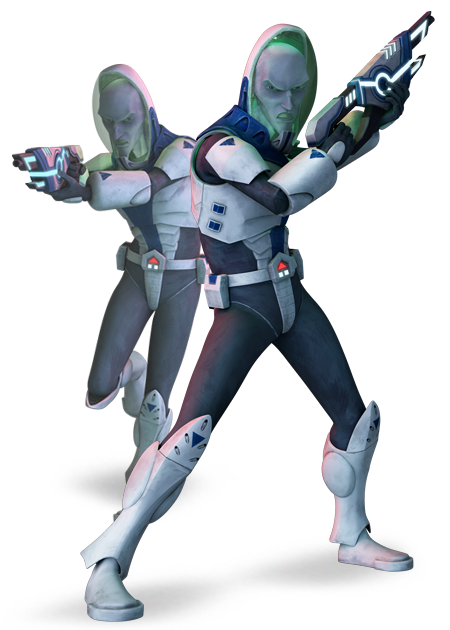 Bred on Kamino, CC-5052 was among the first generation of clone marshal commanders to be trained by the Advanced Recon Commando Alpha-17, who gave him the designation "Bly." A clone of Jango Fett, Bly was trained as an Advanced Recon Commando himself, giving him a more independent mindset and allowing him to think "outside the manual" when it came to the shifting of tactical situations. As a clone commander, it was Bly's job to act as an intermediary between the Jedi Generals and the regular clone troopers, although he was bred to be loyal to the Republic above all others. Bly was assigned to the 327th Star Corps, which fell under the 2nd Sector Army. Bly was bred to be fiercely loyal to the Republic and his superior officers. As a clone commander, he was allowed much more initiative and independence than his fellow clone troopers. Despite this, he always valued the mission as the most important thing in any situation, even over the wellbeing of his comrades. Bly felt it was better that he didn't have to concern himself with the politics or minutiae of his missions and was happy just to execute his orders. His unswerving dedication to the Republic and his objectives would lead him to deeply mistrust Quinlan Vos, even though Secura had assured him otherwise. Bly attributed his mistrust of Vos to his instincts, which he had received from his clone template, Jango Fett. Despite his feelings toward Vos, he respected the Jedi's abilities in combat. He also advocated Vos' killing of Noghri in cold blood, considering that the enemy would not hesitate to do the same to Bly or his allies. Nevertheless, his instincts told him to open fire on Vos when the situation on Honoghr intensified, despite Secura's orders. Bly respected Secura's talents, namely her ability to successfully complete missions in a prompt fashion. He acknowledged that the Jedi were more suitable to command than the clones due to their natural ability with the Force, which heightened their coordination. He appreciated her sentiment that personal feelings were not as important as battlefield objectives, and he wished other Jedi would exhibit her restraint in such matters. His loyalty to Secura did not stop him from feeling alarmed at the recklessness of other Jedi generals. Bly and Secura's relationship became more personal during the war, making their method of operation less and less formal in the waning months of the conflict. However, even friendship could not override Bly's ingrained loyalty to the Republic, as he unquestioningly gunned down Secura in 19 BBY. The commander, in the late stages of the war, would be reassigned several times before being able to complete his mission. Following the Siege of Saleucami, Bly's frustration over being reassigned prompted him to train and exercise aboard the Intrepid, even taking time to spar with Secura in a practice fight. 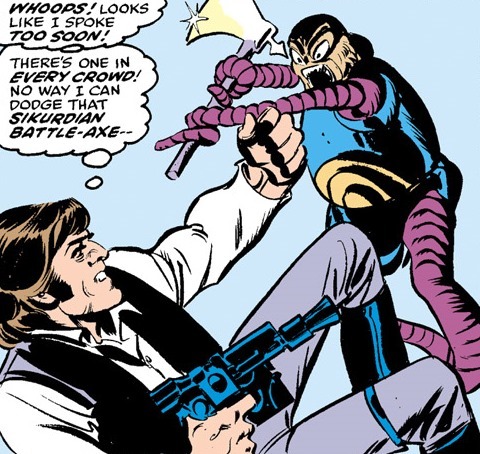 Darth Vader would capitalize on Bly's desire to complete his missions, enlisting him to track down Ekria and Draak lo'gaan following the rise of the New Order.